Patio is certainly one of the constitutive elements of your garden. It links, in a natural way, your house with the garden and thus becomes a junction of activity and relaxation. You can make up your patio with a pergola or other form of shelter, marquise, etc. A footpath may effectively link the patio with further garden, e.g. one consisting of separate step-stones. 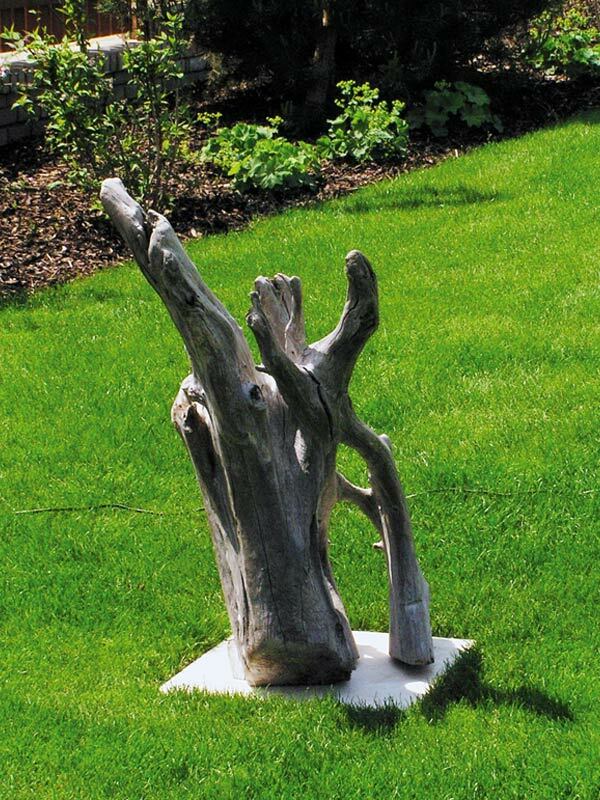 Larger gardens, especially those with jagged terrain, may be adorned with so called blank walls. Their use may be entirely pragmatic: levelling steep areas, or rather decorative. Moreover, they invite you to plant them with colourful perennials. 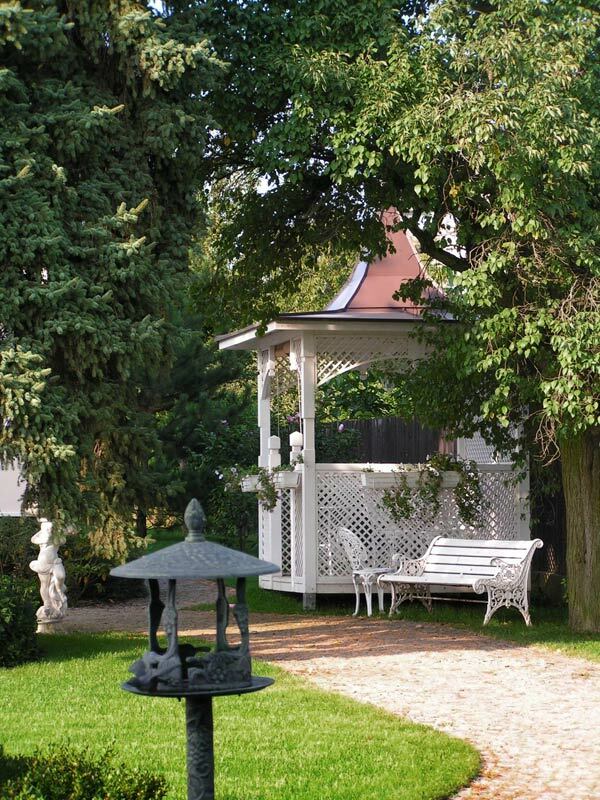 A wooden gazebo, a sculpture felicitously set in the landscape, plaster figure, fireplace, a romantic hideaway with benches, garden chess, various flower-supporting structures, paths, and bridges… all these and numerous other objects can enliven your garden. Just don't forget that less is sometimes more. Moderation and sensibility at planning prove to be the best advisors. 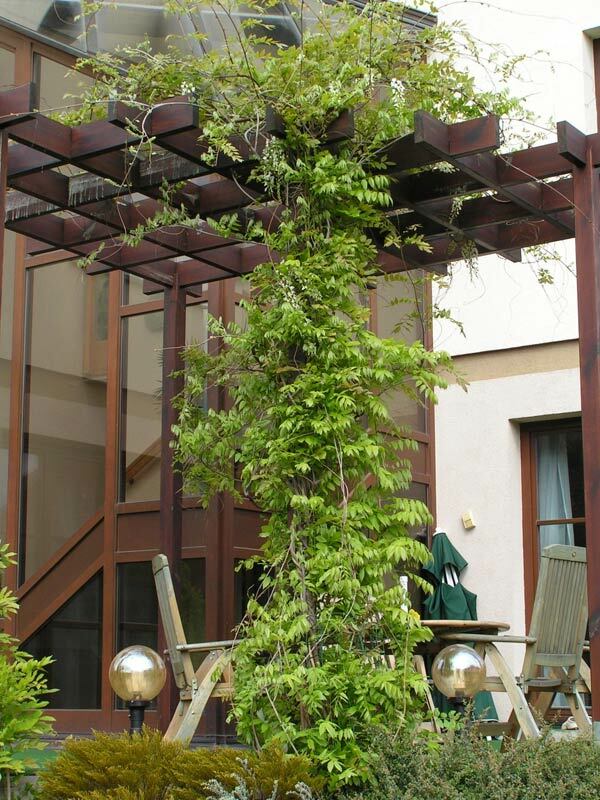 Therefore, don't hesitate to challenge our experienced garden designers. They will find the best option for you. The one made in Marigreen.